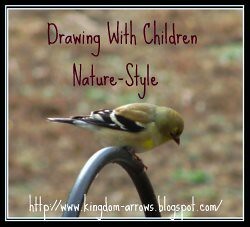 Welcome to the FIRST OFFICIAL WEEK of Drawing with Children- Nature Style! I have to confess, my life has picked up to such a pace, I am wondering WHY? I decided to start the first week in March. The one really good thing here is that you are going to see that some weeks my family will be moving at a snail's pace, so you certainly should not ever feel behind. The goal is just to keep trucking along at some speed. This is a place for encouragement, ideas and accountability as we complete the book Drawing with Children. We are using Harmony Art Mom's Squidoo lesson plans here. She did a little housekeeping this week, so it is all ready to go. My family personally only got through learning the elements of shape and practicing identifying them, which really means we did Pre-Lesson 1:) As far as identifying elements of shape in nature- we observed a nest, a branch with lichen and a pine cone. To join the Flickr Group click here. To get more helps for Lesson 1, click here. Here we are experimenting with our Prismacolor markers. I do hope to make a large drawing of the elements of shape that can hang up. Last week I just photocopied them for everyone to look at up close. I wanted to show you my tool I made this week. I am taking learning to draw very seriously since I want to begin keeping a quality Nature Journal. Another book I am doing drawing exercises from recommended that I make a "pretend" bird to practice drawing his different postures. It was supposed to be made out of Styrofoam shapes, but I live 45 minutes from a craft store and it was 5:30AM while one of my kids was throwing up. I finally made it to the store, so this week I plan to make a real statue for me to practice drawing from. I made this out of foam play-dough. I also wanted to let you know that Hobby Lobby has all Prismacolor markers (open stock or boxes) 30% off this week! Please share how far you were able to get in Lesson One. How is the enthusiasm in your home? Are you also trying to learn to draw? P.S. Don't forget to start your March list for Tweet and See! Looks like you are off to a great start. I think it is totally fine to go a little slower and savor the lessons. They are all building on each other so make sure to get the basics down. Your kids look like they are having fun. PS I need to post my Feb bird list...perhaps later today. 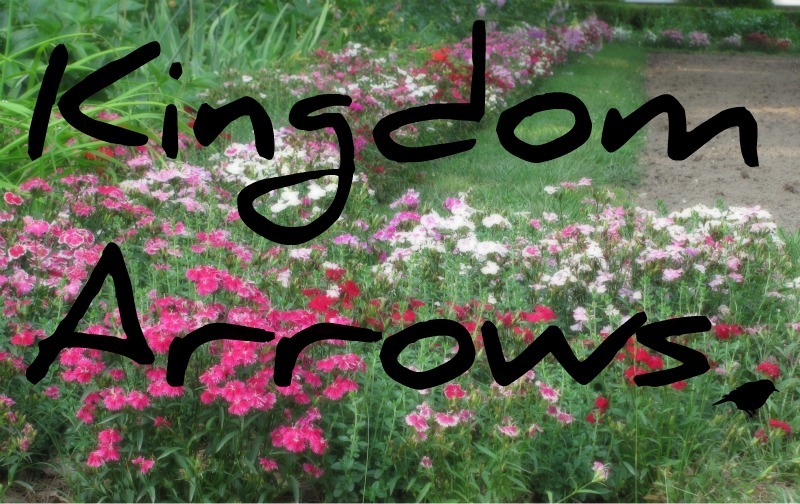 We have finally gotten started enough to write a post! We are doing well, finished lesson one today. I forgot to do the "levels" of drawing for one of the sections. This book is pretty fun and easy to follow!